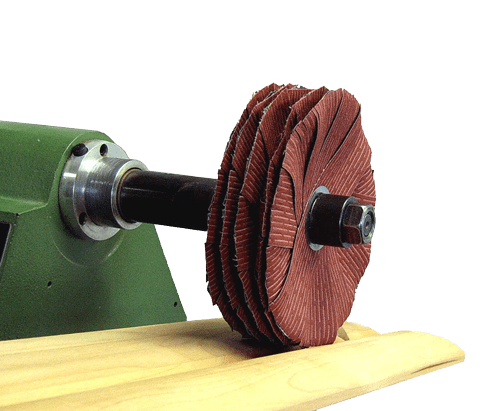 The grinding star FAPI-STAR is made of highly flexible 4 mm wide offset slitted strips of high-quality aluminium oxide abrasive cloth laid reciprocally one on the other. Different grain sizes can be used. The strips can be fixed using a plastic flange or a sturdy rivet. Grinding stars may be assembled from individual elements in any desired width. The desired working width automatically determines the number of grinding stars to be installed on a shaft or mandrel. The grinding stars must be broken on a sharp edge before work can begin. The speed is decisive when working with grinding stars. A higher speed increases stiffness of the grinding star, which increases the aggressiveness. 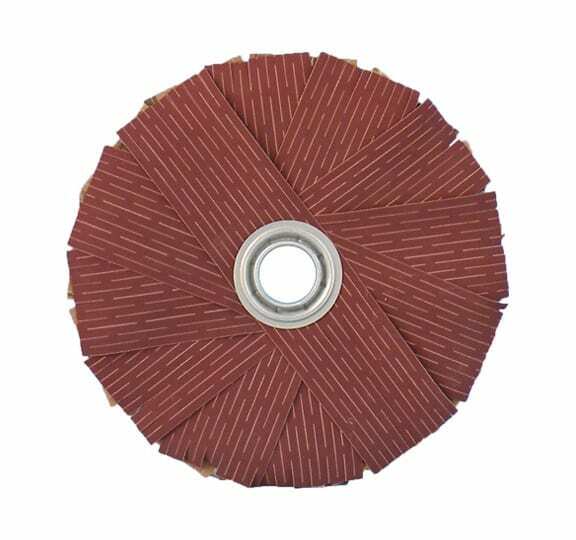 In contrast, the full flexibility of the grinding star’s cloth can be used in the medium and lower speed ranges. The result is a very fine finish ideally suited for pre-grinding before waxing, polishing and painting. Generally, grinding stars are the ideal tool for deburring or when working on strongly profiled workpieces and cut edges. The use of grinding stars must be recommended, if extremely cool or fine grinding is required. For this reason, grinding stars are a first choice when working with thermoplastic plastics because “burning” or “smudging” is avoided, if used correctly. But also in the woodworking industry (profiles, forms, figures, reliefs, etc.) and in the metalworking industry (motor components, aluminium profiles, etc.) grinding stars are used .